The lunch break… do you actually take one? According to a recent NPR story, only one in five employees actually takes a lunch break. If you eat at your desk, you might be able to find some time within your workday to exercise. Here are a few ways to pump up some energy during your lunch break. The benefit of going to a chain is that if you can’t get your workout in while you’re at work, you may be able to sneak it in before or after work. Finding a gym with a location close to the office and close to home will allow you to be flexible on those days where a lunch break may not happen. If you’re looking to get a gym workout in, see if you can take your lunch break around 11 or around 1:30. This will ensure that you get your workout in without having to wait for a treadmill or bench. 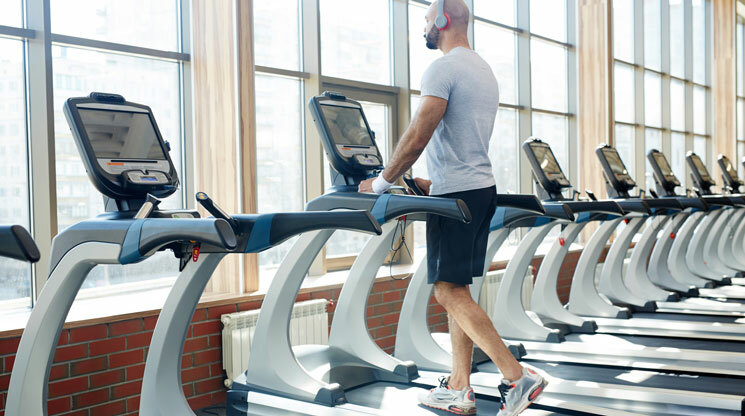 Not only will you be more likely to make it to the gym, but you’ll also be able to complete your workout in a timely manner if you plan ahead. Doing a high-intensity workout will allow you to complete your training in a shorter amount of time. Chances are, you’ll probably need to be quick to make it back to your office. Don’t worry about shampooing your hair. When finished with your workout, don’t forget to cool down for a minute or two. While you may not have time to do a full stretching routine, this is important for lowering your heart rate.